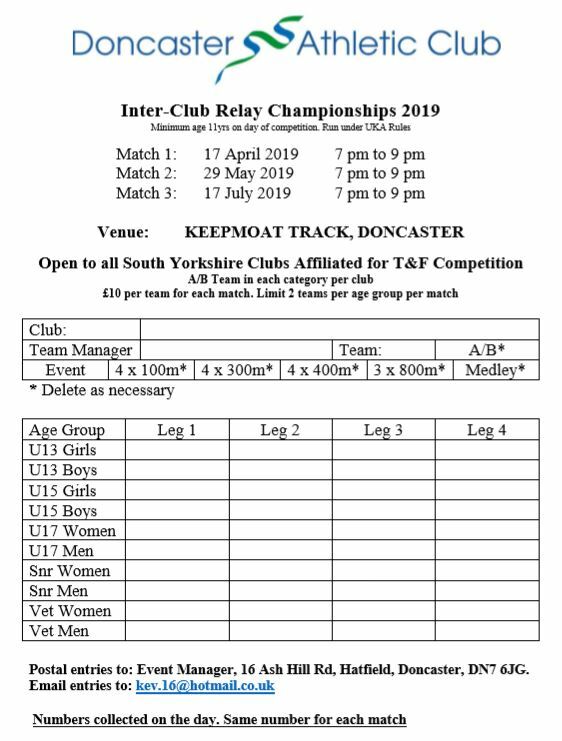 New for 2019, three Wednesday evening relay matches. 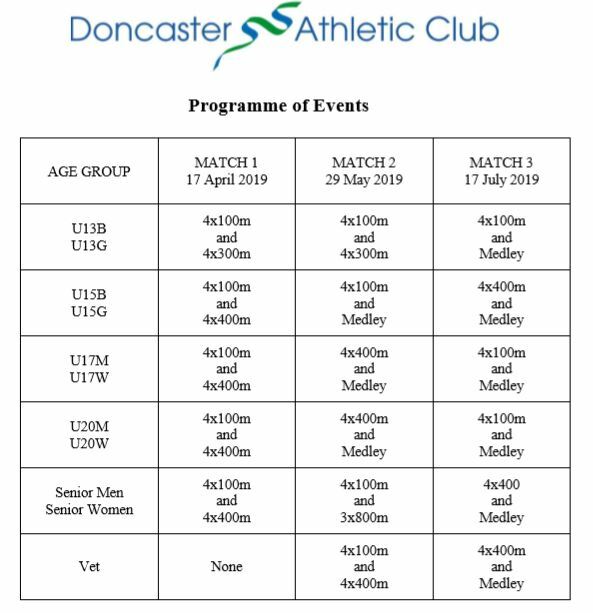 Doncaster AC Athletes give your names in at the cabin. PDF entry form available below.